Zokal has been calibrating and servicing Gas Detection Monitors since 1978. Gas Detector Calibration and Servicing is our specialty. Prior to 1978 the principal of Zokal Safety, James Prout was sampling and analysing industrial gases in his capacity as an Industrial Chemist. He’d done this since 1969. With over forty seven years of experience in industrial gases, their analysis and detection methods, James has been able to ensure the accuracy and professional training of the Zokal technicians. Training both in house and factory training by the many manufacturers of gas detection monitors. We pride ourself on the fact that we can service virtually any gas detector monitor in the market place. A representation of the Instrument Brands we service – MSA, BW Technologies, GMI, RKI, Drager, Scott Safety, Honeywell Analytics – BW Technologies, Zellweger, Sperian Bio Systems, RAE Systems; Otis ,Crowcon, GFG, Odalog , Draeger and more. Modern,well equipped service facilities providing full maintenance and calibration of your gas detectors. 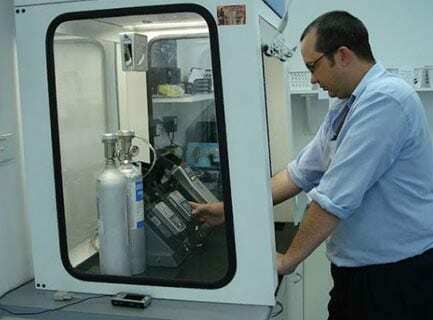 Zokal has modern, well equipped service departments, offering a complete gas detector calibration service for clients in Sydney, Newcastle and throughout Australia. We service all manufacturers detectors where clients have been sold instruments and the back up support was not what was expected. 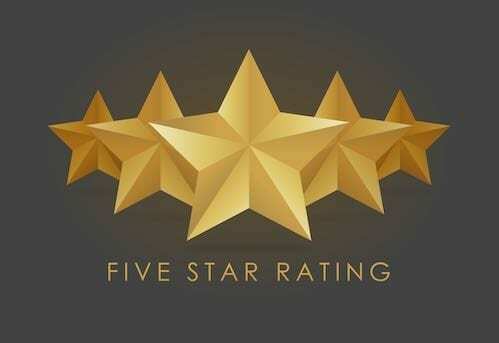 Our experienced service technicians ensure that products are repaired and calibrated to manufacturers specifications in accordance with relevant Australian Standards. All instruments are checked for performance and a detailed ‘Calibration Certificate’ is provided. We have one price for a service and calibration and this includes all your cost, so you know what you are getting. Our process is simple, all jobs are quoted and approved prior to completing. Instruments that are beyond economical repair, the customer is notified and options are given to keep costs at a minimum. Fixed Gas Detection – pre-delivery configuration, testing and calibration. Our service team providespre-delivery configuration, testing, calibration and certification.This includes setup of controllers, monitors and detectors, ensuring our clients not only receive the best product but it is ready for use when it is delivered. Complementing our various in house capabilities is the Service team’s onsite work, being able to provide onsite calibrations of Fixed and Portable gas detectors is critical to our complete customer service. Our technicians arrive with all the tools, spare parts and knowledge to carry out onsite servicing and calibration. Zokal is the Supplier of ZOGAS for Accurate Calibration and Bump Testing of all Gas Detectors. At Zokal we can supply specialised gases and gas mixtures to meet various and specific requirements. We work with you to understand your application and analyse your consumption patterns. This way we can offer the correct cylinder size that maximises your efficiency while minimising costs. 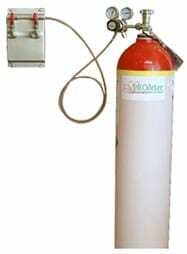 We supply High Purity Carrier gases up to 99.999% pure. Our range includes hydrocarbon gases, chemical gases, halocarbons, rare gases and many other gases for research and industry. These gases can be supplied in a range of cylinders up to 200bar in pressure. 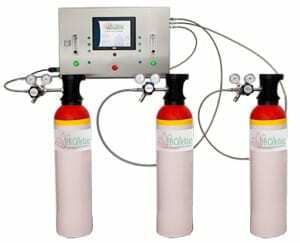 Contact us for a list of available gases in high pressure cylinders. 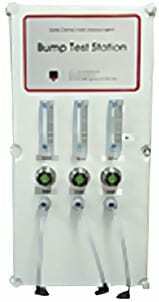 Zokal can supply custom made high precision gravimetric calibration gas mixtures and high purity gases, in a range of both compact light weight or much larger type cylinders. Calibration Gases are manufactured gravimetrically to ISO 6142 and all aluminium cylinders conform to EN12205 / ISO 11118 and are traceable to NPL, UKAS and NIST. 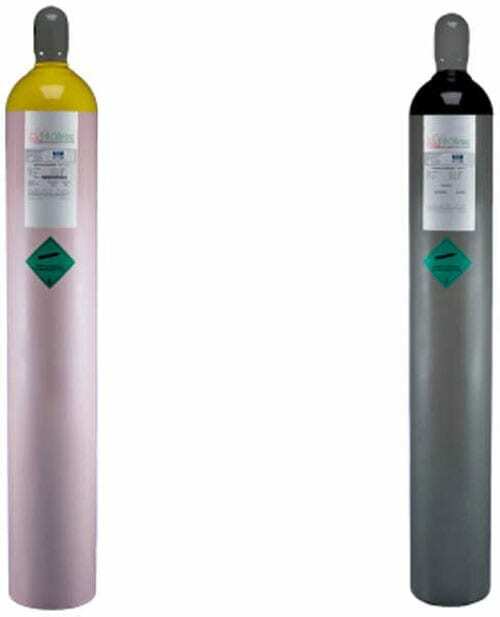 The 112 Litre Aluminium Non-Refillable Cylinder is the ideal choice as it offers the lowest cost per Litre among all calibration gases disposable cylinders. 65 Litre Aluminium Non-Refillable Cylinder is the newest addition to our calibration & Test gases product range. It is ideal for confined space entry kits because of its identical physical size to the much smaller 34L cylinder. The 103 Litre Steel Portable Cylinder is our most popular cylinder for non-corrosion mixtures e.g. CH4, CO, CO2, N2, O2, etc. It is widely used in calibration gas kits to challenge and test gas detectors around plants. A range of gas cylinders with no rental costs for laboratory gas, Gas Chromatograph (GC) Gas & general calibration and test gases.